I’m going to admit it right off….I am obsessed with lighting. I think it’s so important. When I walk into my house with just the right lights on I get an immediate feeling of calm. Isn’t this the way we are supposed to feel in our own homes? A few weeks ago the Thursday Home section of the NY Times had a great article about it. Apparently Bunny Williams is stocking up on light bulbs and not the twisty kind we are supposed to be buying. I am one of those people that take a 4-pack of 25 watt light bulbs when I travel. I can’t relax under the the cool blue of an LED. This is how I used lighting throughout my house and I try to ignore all the recessed lighting. I would love to know. . . What are your lighting tricks? 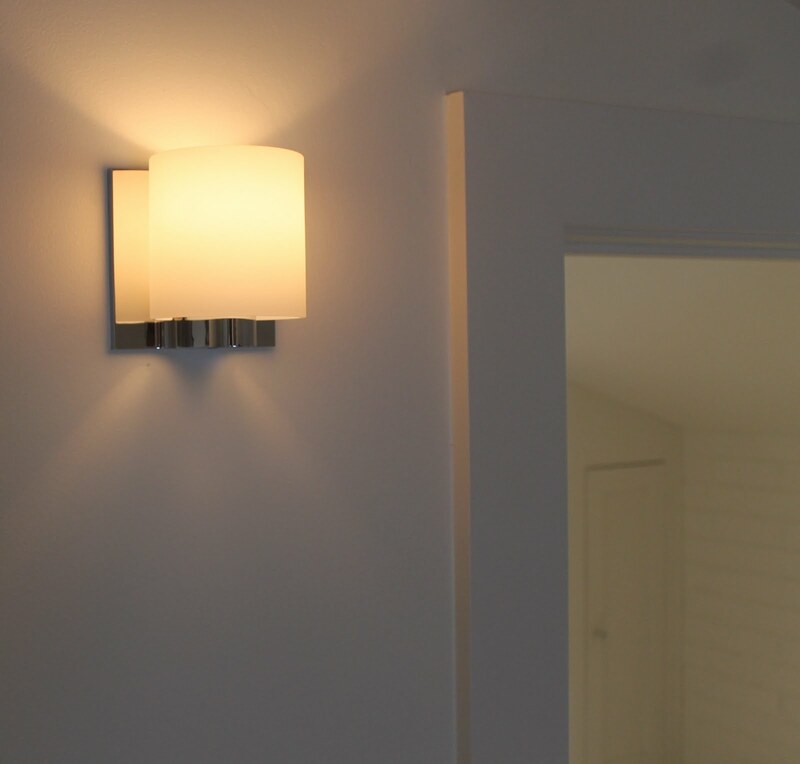 On a scale of one to 10, how important is the lighting in your home? For me, it’s an 11. 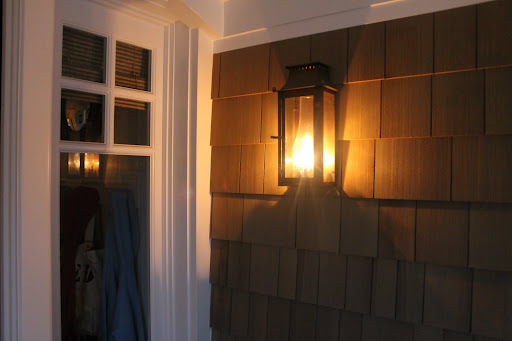 Our outdoor lights are from Bevelo. We used smaller ones on the side and back of house, same look and style. 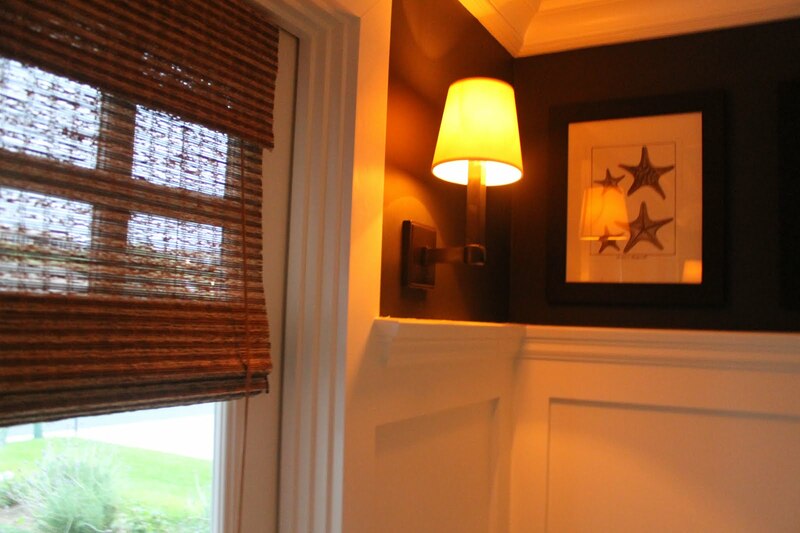 I love sconces. 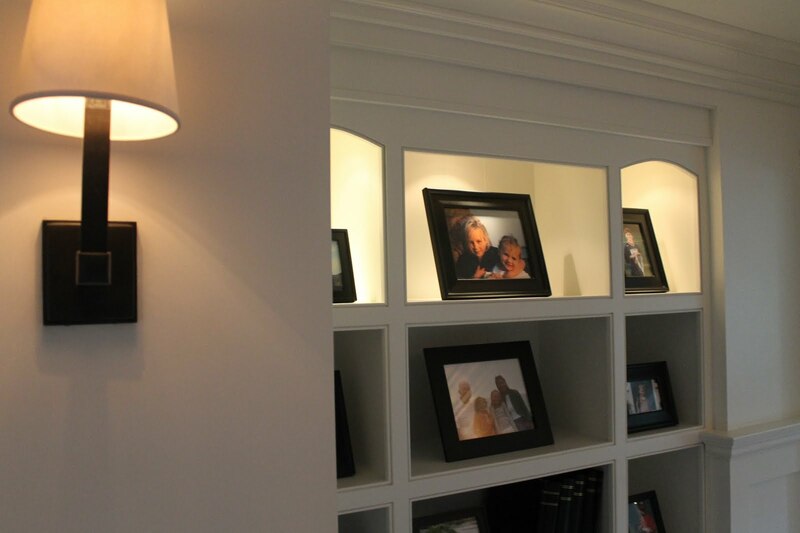 These are from Circa Lighting. Adore candle light. My sister gave me this years ago. 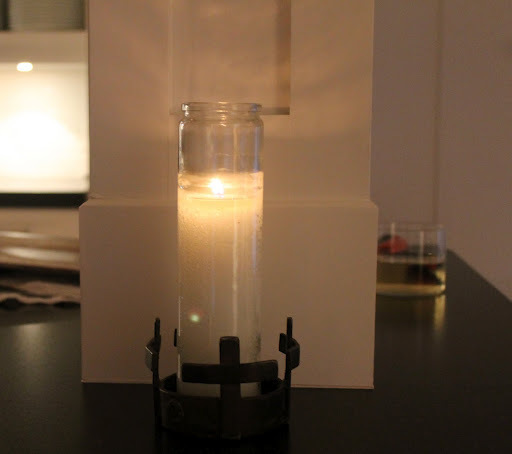 It’s by Jan Barboglio and holds a single religious candle that you can buy at just about any grocery store for about $1.50. I always travel with one. I wrap a sweater around it and can use it in my hotel and then leave it behind on my return. 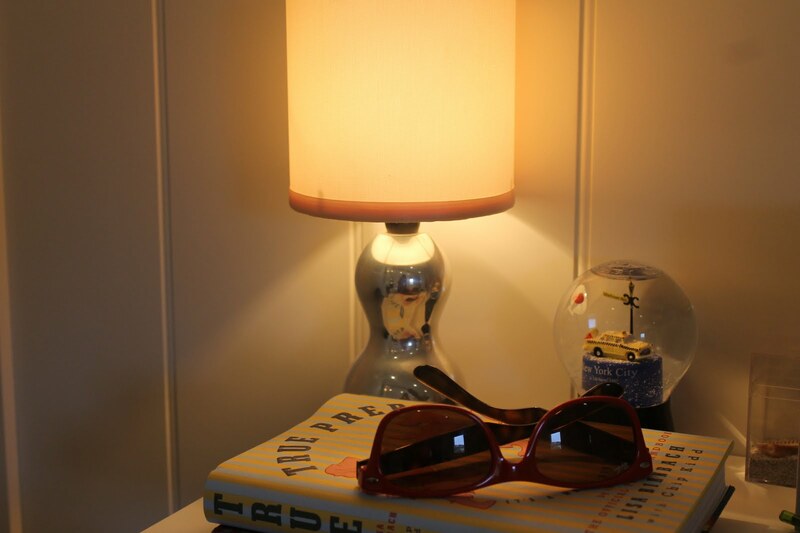 I have a lot of Jamie Young lamps and love the soft glow with the raffia shades. 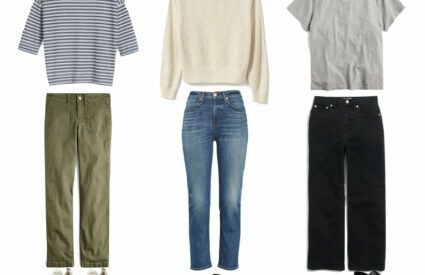 All were purchased at Dovecoat in Westport, CT and Juxtaposition in Newport Beach, CA. I light candles at dusk every night of the week. This is the first light I see as I enter…I knew I had to find a spot for it in our new home. I had this little 1/4 round shelf built just for this lamp. I love the little black plate with a gold key. I found it at Old Navy years ago…for 50 cents. I know I’m not very green, but even during the day I like to have my wall sconces on. We have a lot of June gloom and it makes the house so much more cozy and cheerful on a gray day. All the sconces are on dimmers and are very low. 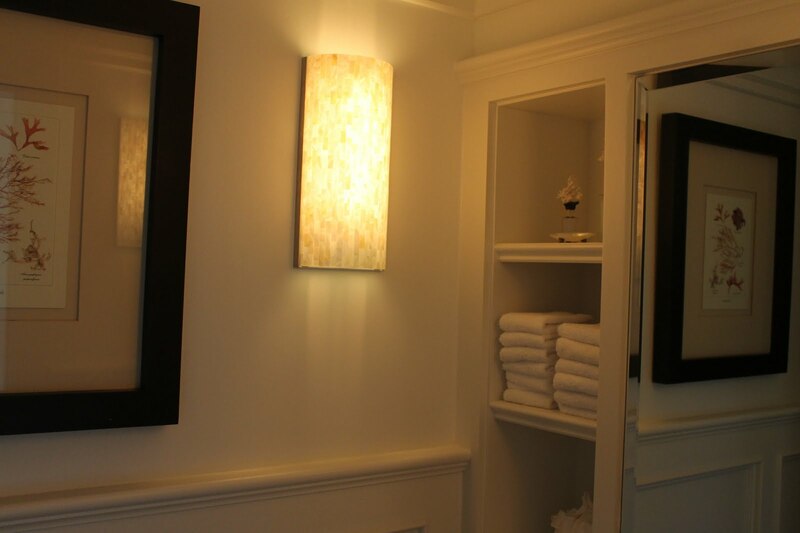 I love this soft light in the powder room. Even in the kitchen…I like soft lighting. A little light in my daughter’s room. 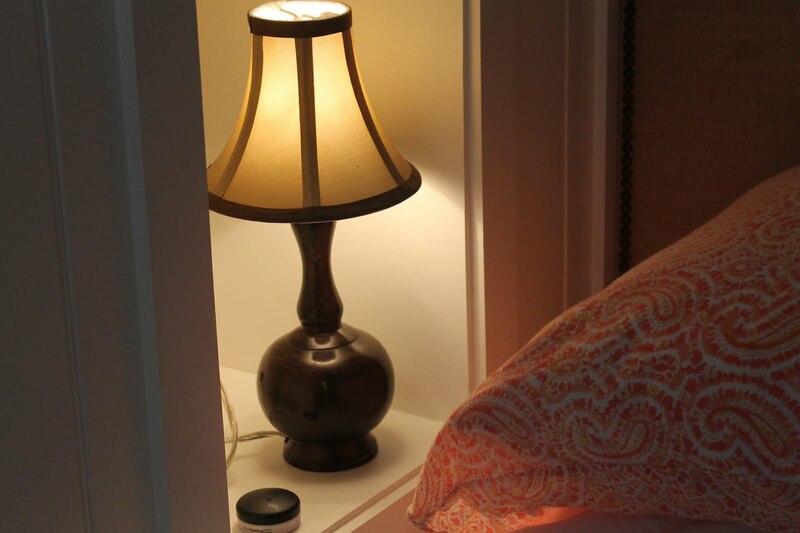 and another little light in the cubby beside her bed. 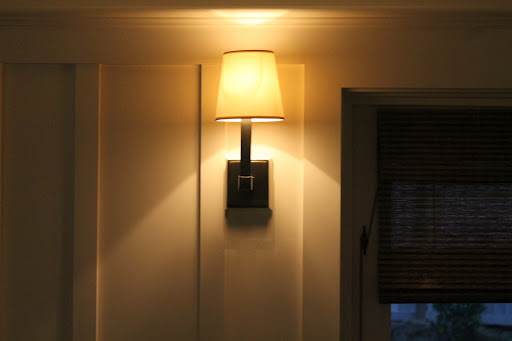 A tiny sconce in her room. 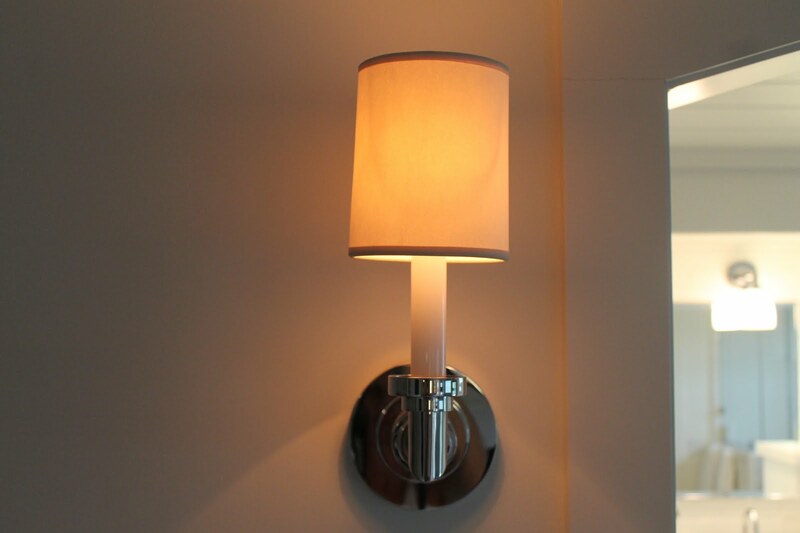 These are from Circa Lighting and match the bathroom sconces, but the bathroom has glass shades. 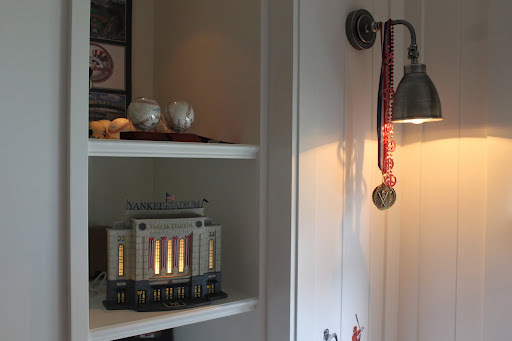 My son got this right before we moved after attending Opening Day at the new Yankee Stadium, so I was sure we added an outlet. The sconces are from Pottery Barn. lovely post …. lovely home!! GREAT post. I have those Circa sconces, too. Beautiful choices. 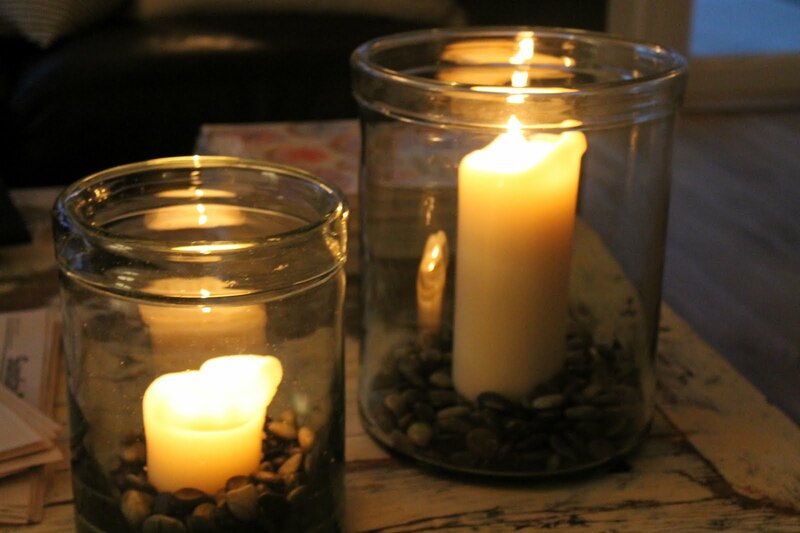 Lights do make a huge difference!Candles are so romantic and atmospheric…task lighting saves us from squinting…and in the dark days of winter I depend on lights for my sanity! Beautiful light choices Anne. I agree I do not like the LED lights at all, the light is too cool, very unflattering. 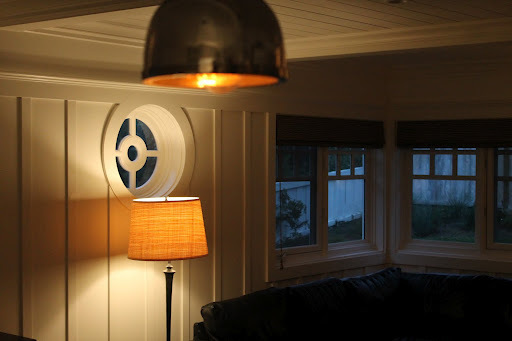 I am in love with the last sconce in your round up, great style. 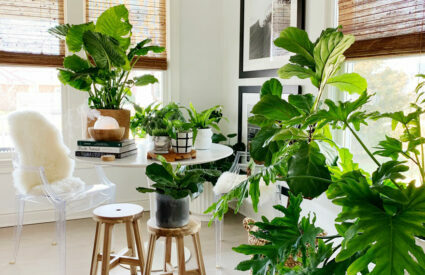 Hello Annie:Yes, we agree with you completely about the need to have appropriate and sympathetic lighting around the house and, as your lovely images show, there is so much choice available it can be hard to find what suits one best.In the main we favour table lamps and avoid central lights as being too harsh. Annie when you do house posts they make my day, literally all smiles! :) Keep em comin please!!! 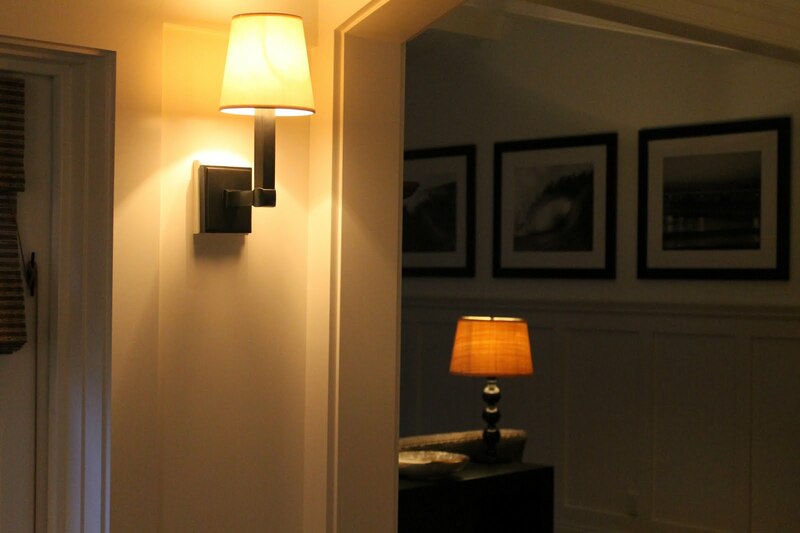 I love sconces too, I wish we had some in our house. I keep my kitchen lights on all day, it's the old dark servant's quarters – I pity those poor souls who toiled there in the gloom years ago. Lovely! 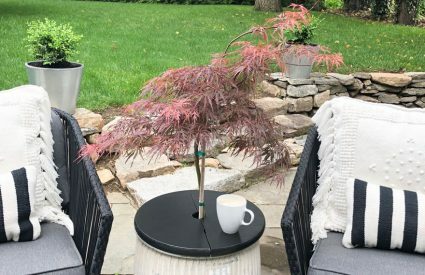 I am in love with your outdoor lights from Bevelo! The lighting is awful in my house. I think I could write a blog titled "Most Ugly Things" and the first post would be about my lighting…specifically the pendants the builder put in over my kitchen island! We have a plethora of overhead lighting and I think the builder had some quota for energy efficient lights because half of the lights in our house are the fugly energy efficient, squiggly type, and half are the standard recessed lights. Or maybe they thought it would be fun to do half and half? The energy efficient type we have use a different type of socket also, so I have to go to a specialty store to buy replacements, which cost a fortune. 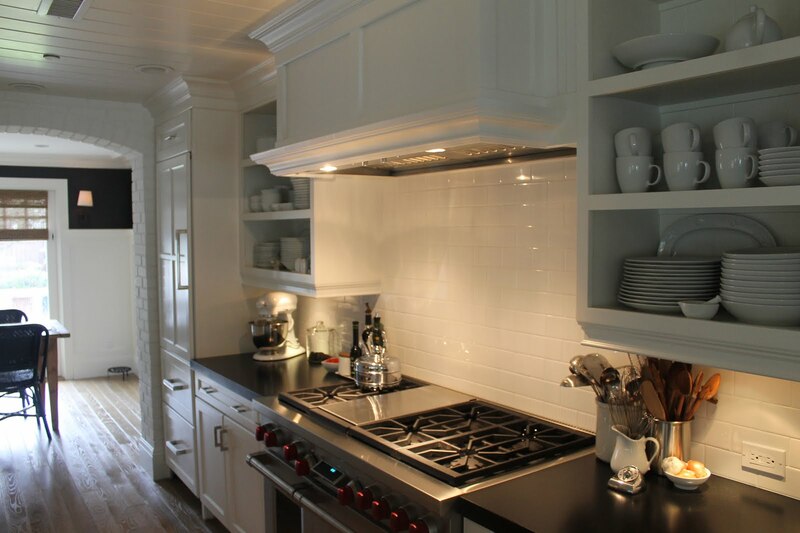 I could keep going here, but I'm going to stop myself.The lighting in your home is beautiful and I have to say that every time I see your kitchen I want to eat it up! I agree about the candle light, but I shy away from it for fear of fires. But I notice the way you have set them, they would be safe. I'm going to try that. This may be anathema to you, but I also like the better made real wax flameless candles with timers around the holidays. For anyone with kids, they can work pretty well, especially if you put them in beautiful holders.LOVE your kitchen! The key to make a home homey.Happy weekend!Don't forget to enter this giveaway! Annie, I need to start stock piling light bulbs. I can't imagine a world with that awful light. Very futuristic and needs to be avoided! Your house at dusk is like a wonderful respite from the troubles of the outside world. I feel sad for the generation that will never feel that sense of calm or relaxation that only nice lighting can provide. I agree, nice lighting makes me feel more relaxed! Your house is GORGEOUS!! Thanks a lot for the birthday greetings and for encouraging me with my exams. About the light, since I moved in my actual house I've never realized how important it was. Your lights are really cute and warm… your house is very beautiful!! Hi I am visit your blogs and read content. 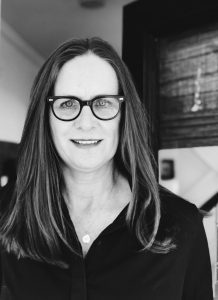 Your content and blogs are very nice. 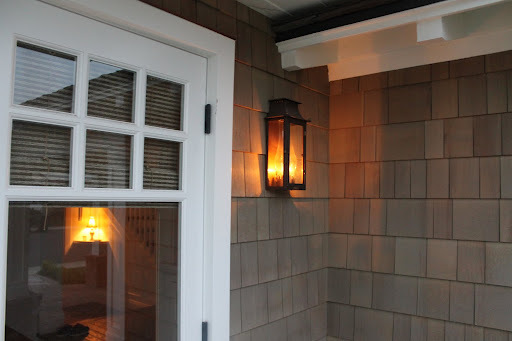 Outdoor sconces use for home’s. Other light used for decorate your home, gardens, office etc. 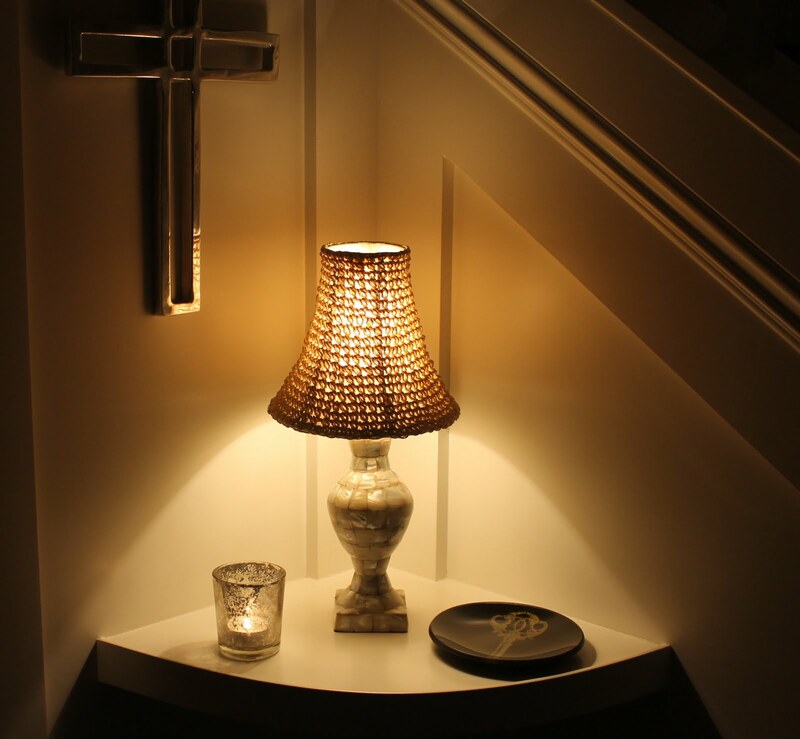 I love your use of lighting throughout your house! Everything looks so beautiful. Good lighting really does make a huge difference. We do have overhead recessed halogen lamps. It's good for "work" areas such as the kitchen but I find it is a bit harsh in the bedrooms. 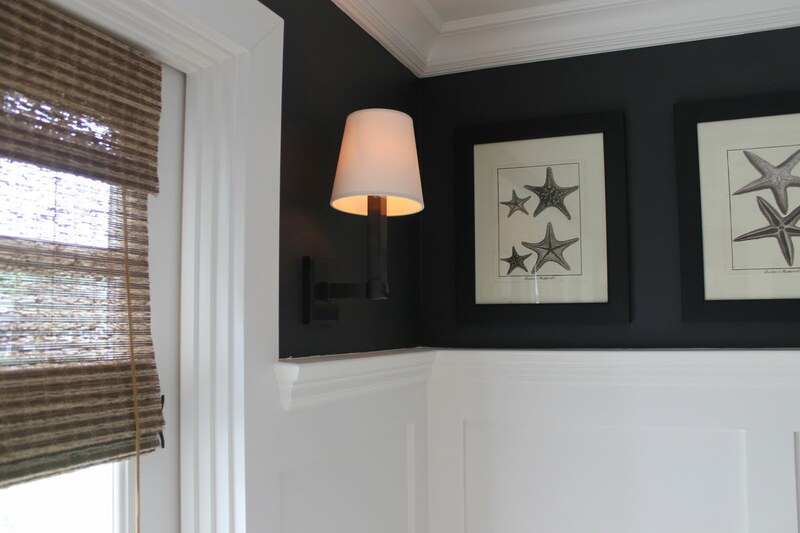 I'm trying to convince my husband that we should have wall sconces in the bathroom to give it a more peaceful feeling…I'm going to show these photos to him as a great example of how good they are! Annie, Can we talk??? I REALLYYYYYY miss your blog posts! Beautiful! We are the same. We mostly use lamps hence why we have so many.